Tributes are flowing for the dedicated conservationists killed in a helicopter crash yesterday morning. 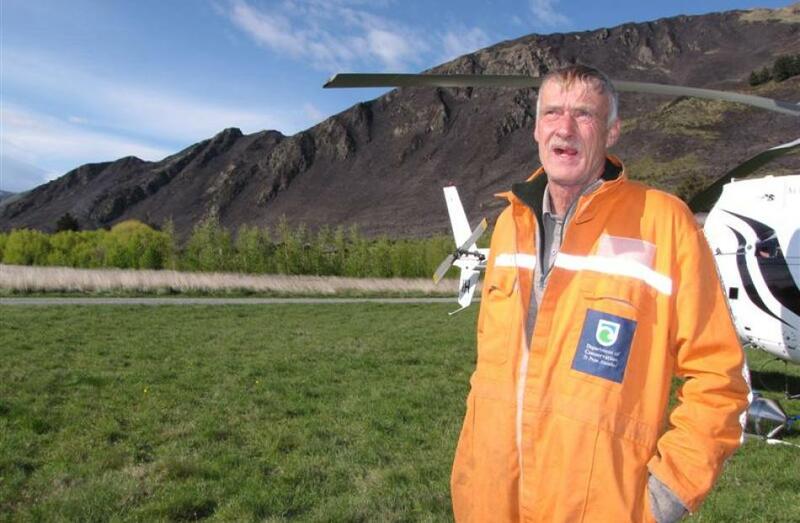 Police today confirmed Department of Conservation animal threats biodiversity ranger Scott Theobald, of Twizel, died in the crash, together with experienced ranger Paul Hondelink, also of Twizel, and pilot Nick Wallis. The Otago Daily Times understands Mr Theobald, formerly a possum trapper, was a pioneer of using pest dogs to manage cats and stoats. Otago Regional Council Environmental Monitoring and Operations director Scott MacLean said he had worked with Paul Hondelink on the West Coast a few years ago, and is former colleagues were reeling. "It's just a bloody sad time for everyone. "Those people are ... so devastated''. Mr MacLean said Hondelink was ''laid-back,'' but totally dedicated to his work. Mr Hondelink was previously based in Wanaka but had moved to Twizel. Doc director general Lou Sanson paid an emotional tribute to Mr Hondelink, Mr Wallis and animal threats biodiversity ranger Scott Theobald on RNZ this morning. "We just lost so much, these are some of the most experienced people in the world." "It's just a tragedy, we are just absolutely stunned, we don't know what to say. The two Doc workers and Mr Wallis all played crucial roles in protecting New Zealand's environment and helping native birds. "This is huge what has happened to Doc. "Thousands of birds are alive on islands because of these people." He knew Mr Hondelink well. "I shared ten camps with him in Fiordland as we trialled 1080 gels and looked at how to make Secretary Island predator free." He was able to carry out huge catchments of pest control "for not a lot of money just because of the way he thought things through". Mr Theobald "was just born to kill predators to bring back our birds". Mr Wallis, using his engineering experience, was "constantly trialling new ways of pest control" and was part of the Wallis family's crucial link with the Doc. "We were linked at the hip with the Wallis family and we just can't believe what's happened." He said he was now focused on supporting the families of those killed. "We lost some of the most significant experience in New Zealand, if not the world yesterday." In a statement the Alpine Group said it had a strong working relationship with Doc starting with the Forest Service 55-years ago. "Alpine wishes to extend its sincere condolences to the families and colleagues of the crew of the helicopter which was involved in the tragic accident near Wanaka yesterday. "The men were not simply DOC workers, they formed part of a team of elite senior rangers within the Department. "Importantly, they were personal friends of Alpine staff and ownership who are also grieving at this time." The wreckage of the crashed helicopter.